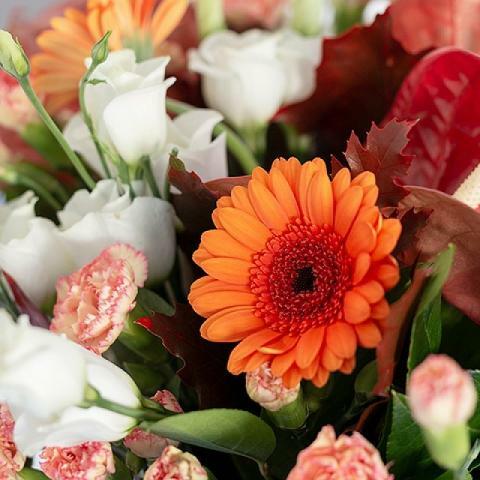 Surprise a friend or a relative in Autumn with a forest walk experience for their home with this caring seasonal bouquet containing mini orange carnations, gerberas and red oak. 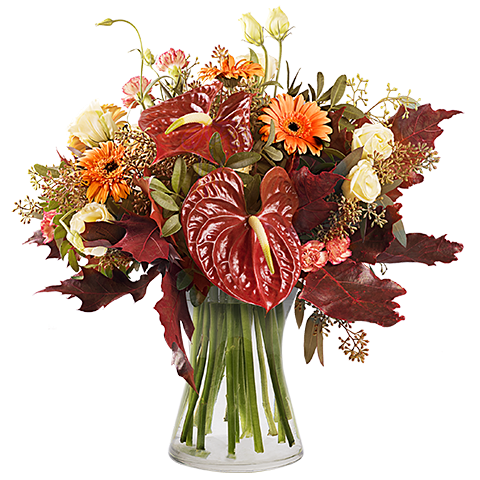 Full of warm colours and fresh greenery this is the perfect bouquet for an Autumn birthday or anniversary. 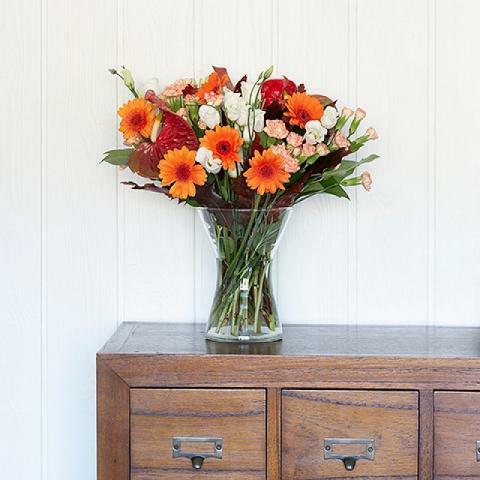 Very easy to order and kept me updated at all times!